Butterflies aren't just easy on the eyes. Their presence in a place indicates the relative health of the environment. IMAGE: The red pierrot butterfly. Photograph: Courtesy Vengola/Wikimedia Commons. Come on,” our team member Devendra Singh mutters, crouching in the grass, heedless of the heat and dust. IMAGE: The red flash butterfly. Photograph: Courtesy Vijay Barve/Wikimedia Commons. IMAGE: The psyche butterfly. Photograph: Courtesy JM Garg/Wikimedia Commons. The tiny butterfly flutters around, tirelessly. The remaining six members of the team, including me, crouch with him, waiting for the insect to settle down, show us its wings, allow us to photograph and identify it in a field guide. 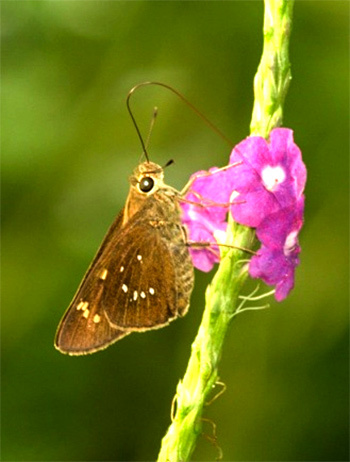 IMAGE: The Indian skipper butterfly. Photograph: Courtesy Jee and Rani Nature Photography/Wikimedia Commons. Who would have thought Delhi’s first butterfly census would be such hot and sweaty work? IMAGE: The blue tiger butterfly. Photograph: Courtesy Kingshuk Mondal/Wikimedia Commons. Our team, committed to recording all the butterfly species we can see in The Ridge behind Jawaharlal Nehru University, is one of 15 in the capital today. The idea is to pool in all 15 butterfly checklists to arrive at an accurate list of what our team leader Surya Prakash of JNU refers to as “Delhi’s flying jewels”. 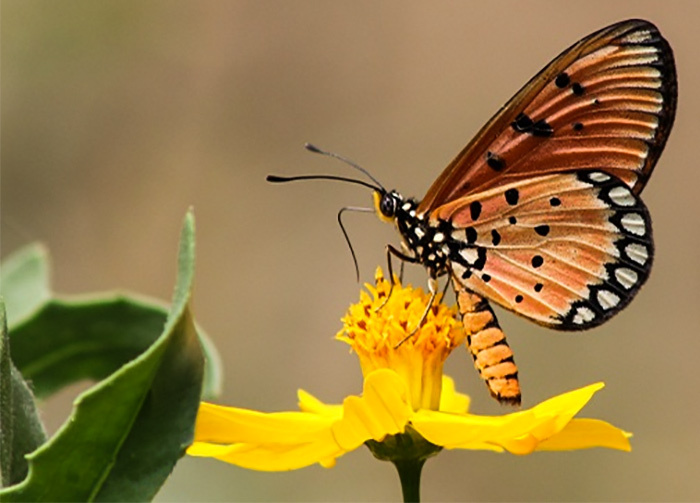 Organised by the Conservation Education Centre, but jointly implemented by Bombay Natural History Society and the capital’s forest and wildlife department, the census is a part of the Butterfly Month that was celebrated through September. IMAGE: The lemon pansy butterfly. Photograph: Courtesy Jee and Rani Nature Photography/Wikimedia Commons. The Ridge behind JNU represents the classic grasslands habitat of the Aravallis -- rich hunting grounds for butterflies big and small. As we walk, Prakash tells us about these beautiful but little-understood creatures. Butterflies are cold-blooded and spread their wings to derive energy from the sun. 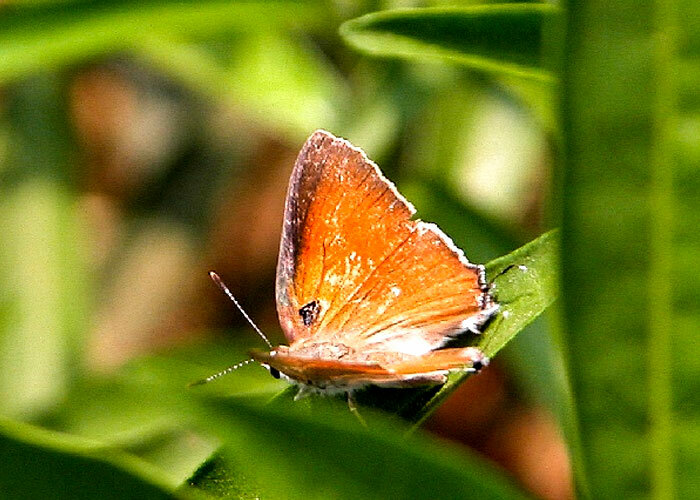 Delhi has a diverse range of butterfly species, local and migratory, ranging from the smallest, the Tiny Grass Blue with a wingspan of 16 to 24 mm, to the largest, the Blue Tiger, whose wingspan can go up to 85 mm. 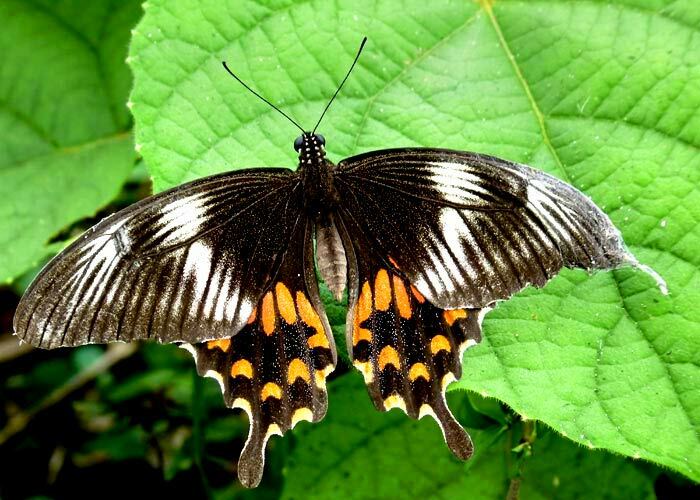 IMAGE: The common Mormon butterfly. Photograph: Courtesy Jee and Rani Nature Photography/Wikimedia Commons. 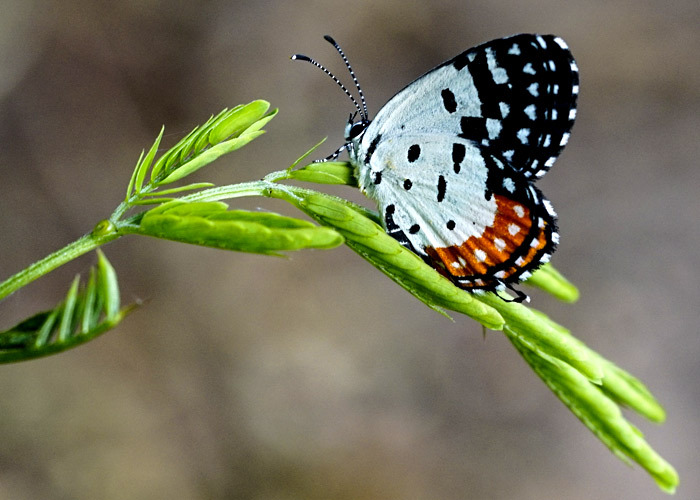 While urban sprawl is causing these grasslands to shrink and degrade, Prakash, who has been studying the species Lepidoptera for the last 20 years, says that butterflies continue to abound here. “In fact, in a paper I presented in 2014, I reported six new species in Delhi,” he says. Just then, we spot one of the new species he discovered: The Conjoined Swift. 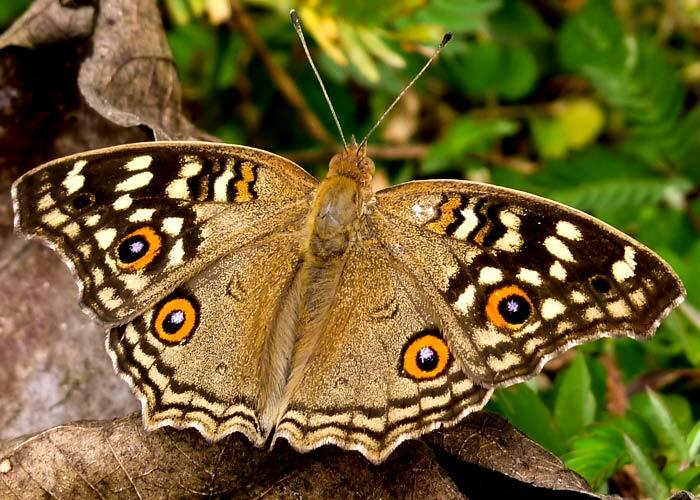 Small, brown and moth-like, it is classified as a butterfly because it is diurnal (unlike moths, which are nocturnal). It darts swiftly, and sweat trickles down my back as we observe its behaviour. 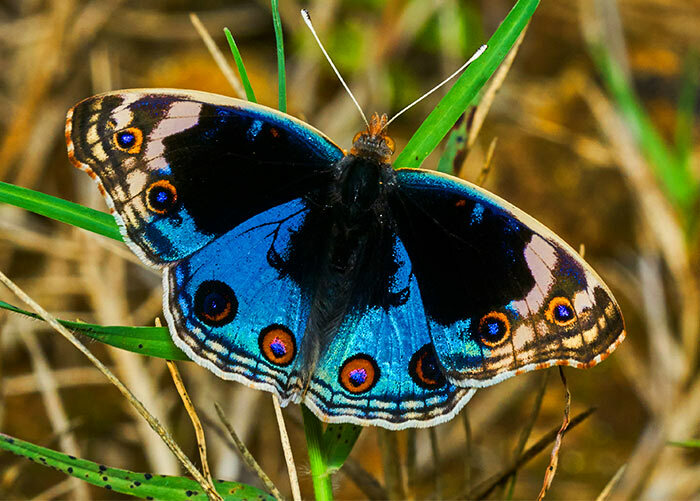 IMAGE: The blue pansy butterfly. Photograph: Courtesy Jee and Rani Nature Photography/Wikimedia Commons. There’s a reason why butterflying hasn’t gained the traction that birding has in Delhi. 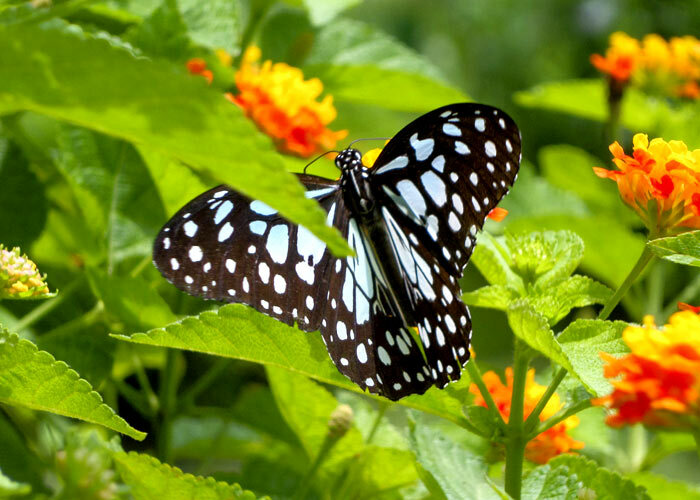 “Butterflies abound in the warm, humid months after rains, and are most active when the sun is strong,” says Prakash. This makes butterfly watching definitely less comfortable than birding. Also, butterflies are smaller, swifter and, therefore, frustratingly hard to photograph. 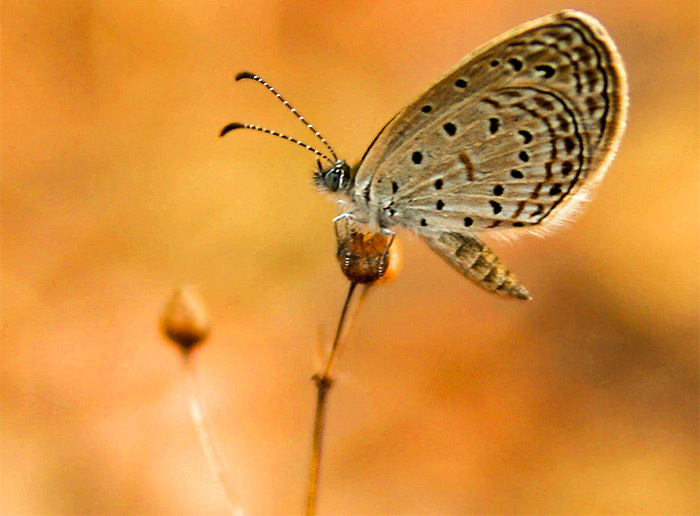 But then, Chandra Bhushan, Prakash’s able deputy on our team, spots a Tiny Grass Blue. Miraculously, it sits long enough for the binoculars to focus on it -- and I’m transfixed. It is so perfect in its form that I see why Prakash calls it a jewel. IMAGE: The conjoined swift butterfly. Photograph: Courtesy Dr Raju Kasambe/Wikimedia Commons. The presence of butterflies isn’t just easy on the eyes though. Ii indicates the relative health of the environment. We observe a Common Mormon “mud-puddling” -- sucking moisture and nutrients from decaying plant matter. Ahead, we come across another stunning species, the Blue Pansy, which flits in the canopies of Ashoka trees. 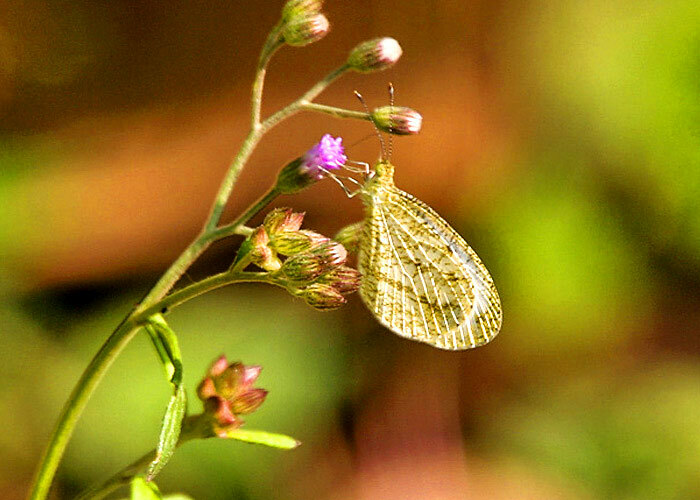 IMAGE: The tiny grass blue butterfly. Photograph: Courtesy JM Garg/Wikimedia Commons. Later, we go to the JNU nursery where Bryophyllum plants abound, to see the stunning Red Pierrot. Nearby, Lemon Pansies hover over the lemon tree. Butterflies, we learn, have specific host plants and are completely dependent up on them. Over a shared breakfast at the end of the census, a reckoning reveals our team of citizen scientists has recorded 43 species in four hours. It transpires later that Delhi’s total butterfly count stands at 69. 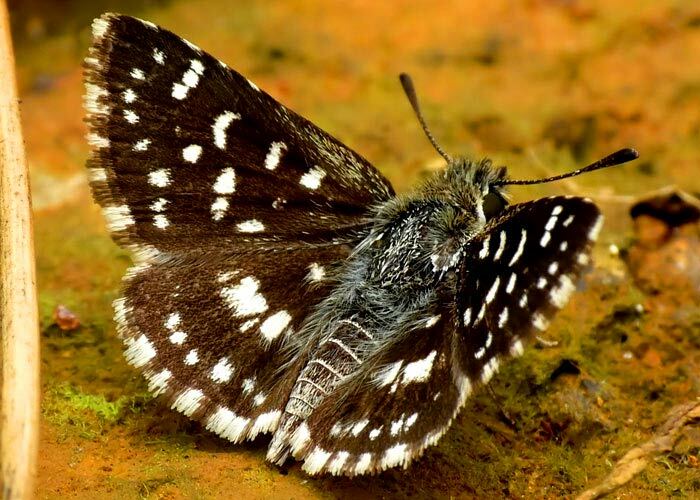 IMAGE: The tawny coster butterfly. Photograph: Courtesy Surya Prakash/Facebook. Being a citizen scientist has its perks -- the gardener at JNU has given me Bryophyllum cuttings to plant at home. If I’m lucky, perhaps the Red Pierrot will visit me some day. Best wildlife photos of 2017!